Cellid, founded by Professor Kang Chang-yul of Seoul National University in 2006, will be listed in KOSDAQ. Currently, Cellid management of clinical trials of ‘BVAC-C’ for uterine cervical cancer and ‘BVAC-B’ for breast cancer is in progress by employing the key platform technology, the ‘Celivax’. The company employed human resources of domestic marketing and clinical application for spontaneous commercialization as well as joint research for technology transfer to global institutions. Cellid has developed ‘BVAC’ through spontaneous platform technology ‘Celivax’ through which the immunogenicity was increased by attachment of immunoenhancing agent, the alpha-galactosylceramides to the cell surface of B-cell and monocyte. The alpha-galactosylceramides, a kind of glycolipid extracted from poriferan directly interact with T-cells, the natural killer cell, and gets activated. The activated natural killer cell either directly attacks the cancer cell or secretes cytokine to induce antigen-specific in vivo cytotoxic immunoreaction to activate B-cells and monocytes. Cellid also uses adenovirus which is modified into non-replicative form to change cancer antigen into DNA form and transfer it to B-cell and monocytes to present certain antigen inducing tumor attack on surfaces for the activation of congenital and acquired immunoreaction systems. Transferring antigen in DNA form would manifest more epitope compared with methods, which employ peptide, etc. and thereby induces stronger immunoreaction with higher possibilities of getting over heterogeneity of the tumor. 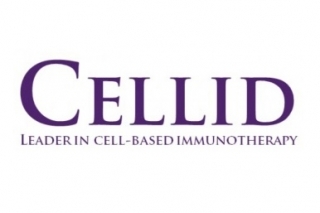 Currently, Cellid has developed therapeutic vaccines against diverse antigens through ‘BVAC’. Currently, the clinical trials on ‘BVAC-C’, the anticancer vaccine for human papillomavirus (HIV), and ‘BVAC-B’, for the targets of breast cancer and gastric cancer of Clinical Phase 2 and Clinical Phase 1 are in progress. President Kang stated, “… the objective of Cellid is not to induce simple suppression or partial treatment of diseases but complete curing.” “… for the objective, we are challenging the development of ‘BVAC-Neo’ for identification and application of neo-antigen on individual patients”. Cellid invited two specialists before listing on KOSDAQ. 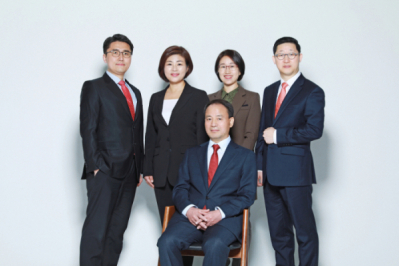 By following managing director Kang Su-yeon, who is in charge of strategy and marketing of the company, director Jang Gyeong-hee, who will be in charge of clinical development, joined the company last November. President Kang emphasized, “… we have now established stronger manpower by inviting specialists who are in-charge of clinical development and marketing of company as a means to accelerate development through specialization.” Cellid will challenge the model of development and direct sales of the product. The company also secured a site in Magokdong, Seoul, for the construction of spontaneous facilities of GMP.